It was a House Budget Appropriations Subcommittee meeting with Attorney General William Barr. One would think it was the House or Senate Judiciary Committee because Democrats to a person on that subcommittee drilled the Attorney General about the Mueller Report. “Russia, Russia, Russia!” Very little referenced Department of Justice appropriations. Even in her opening remarks, the Chairperson of the full House Appropriations Committee, Nita Lowery (D-NY), attacked the A.G. for not already releasing the full Mueller Report to the World, AND that he chose to send to Congress a 4-page “Summary Letter” — her words, not his — instead of simply releasing the approximate 400-page Mueller Report in its entirety to the American people. It WILL include redactions. Those redactions (according to the A.G.) will occur in 4 specific areas. One is to keep confidential details of the significant number of cases that are currently still being litigated by various courts; Two is pursuant to federal law the redactions will include details of grand jury testimony that legally cannot be released; Three is to protect the identities and details of confidential investigators, their witnesses, and their ongoing investigation details of cases; and Four is the complete details of those who were investigated by the Mueller team but were not implicated or indicted. A.G. Barr stated his intentions are to color code each redaction in his report so as to identify which of these 4 categories apply to all redacted material. When asked, the Attorney General stated details of a case decided last week by the Washington D.C. Federal Appeals Court confirming the law that prevents grand jury testimony and identities from being released publicly and that the DOJ will comply with that law. Under United States law, there are certain details of the report that Barr is prohibited from revealing, including details about individuals connected to the investigation who have not been charged with any crime. Bob Mueller indicted 37 people and probably investigated more than that and many of them were not indicted, and material about them can’t be released. That’s NOT an “opinion” of someone at the DOJ — it’s in the law. You may be old enough to remember the Bill Clinton/Ken Starr Whitewater Investigation that rocked along for years and resulted in the impeachment of Bill Clinton. (Of course, the Senate declined to confirm his impeachment) Under the law that was used to start and operate Ken Starr’s investigation of Clinton, there was NO stipulation regarding the release of Starr’s report when the investigation was completed. Starr chose to release the full report to the public. Democrats went NUTS! Current House Judiciary Committee Chairman Jerold Nadler (D-NY) was a member of Congress at the time and went absolutely mad in public at the release of the full Starr report, and the certainty of the damage that release would do to the Department of Justice and its sources. Nadler was not by himself. Numerous other Democrats expressed the same feelings. But it’s different in THIS Special Counsel Report. Of course! This president is not a Democrat. Enough said. “Congress has asked for the entire Mueller report, and underlying evidence, by April 2. That deadline stands,” House Intelligence Committee Chairman Adam Schiff said last Friday after Barr said he would provide the full Mueller report to Congress by mid-April. “In the meantime, Barr should seek court approval (just like in Watergate) to allow the release of grand jury material.” He added: “Redactions are unacceptable. Schiff in making the above statement made a 180 degree turn from his previous stance on the public release of similar information. 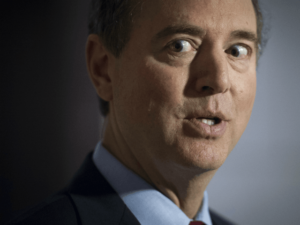 Schiff (D-CA) is one of several Democrats who blasted then-House Intelligence Committee Chairman Devin Nunes (D-CA), during the last Congress for releasing a GOP memo on alleged abuses of the Foreign Intelligence Surveillance Act (FISA). The memo described the unverified Trump “dossier” as critical for obtaining surveillance warrants to spy on a Trump campaign aide. The GOP memo, which was also four pages long, was released in an unredacted and declassified format, with White House approval. 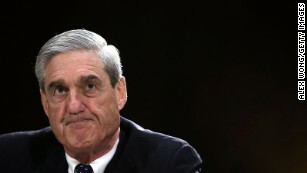 The only difference of current Attorney General Barr NOT releasing the full Mueller Report as written is because the report is regarding an investigation of alleged wrongdoing by members of the Trump Campaign in conjunction with Russia during the 2016 election cycle — a claim that was totally debunked by the Special Counsel. Democrats reasoning? Totally based on allegations — NO PROOF! 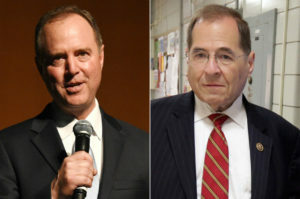 One more thought: Democrats Schiff, Swalwell (D-CA) and Nadler have each made subsequent claims — even after the completion of the Mueller investigation in which he found there to be NO wrongdoing by the Trump Campaign — maintain there has been and is absolute evidence of Russian collusion during the election by the Trump Campaign. It is laughable that these three with their weighty Congressional obligations of leadership and purported claims to embrace full transparency have NEVER offered up to the DOJ or Robert Mueller that evidence they claim to have that implicates the President. In this journalist’s opinion, IF they actually have such evidence that would implicate the President of illegal activities, their NOT providing it in its entirety to DOJ officials or the Mueller investigators would in itself be Obstruction of Justice! Let’s just be completely honest. Democrats are proving, again and again, they have NO agenda other than doing anything to get rid of Donald Trump. Remember the definition we gave you two years ago that explains the difference between Liberal Democrat and Conservative Republicans? If you don’t remember, here it is again: Republicans do not like it when someone holds opposite political positions than they do. Democrats not only do not like it when someone holds opposite political positions, but they also HATE THE PEOPLE THAT HOLD THOSE VIEWS! How can Democrat leaders expect to garner sufficient votes from the American populace to win the Senate and the White House in 2020? As shown in the 2016 presidential election, there are not enough Democrat voters in the nation to give them the margin necessary to win. 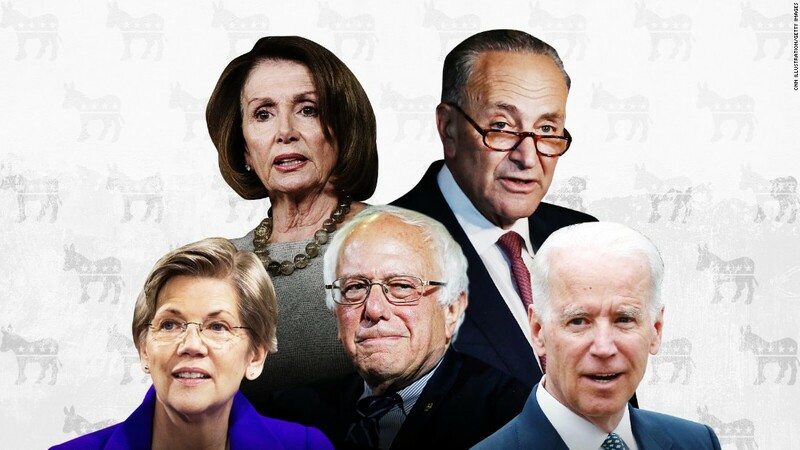 Are they so bold as to think the current noise and hatred being spewed by the 18 declared Democrat candidates for president in 2020 will make-up enough votes to push them over the top? Surely not! Yet their actions on a daily basis seem to show that is exactly what they are thinking. I’ll close by saying this: I must be stupid. I cannot — try as I do — understand why ANY American voter would support any of the 18 declared Democrat presidential candidates and the two others expected to jump in when all they do is scream AGAINST President Trump, totally ignoring the significant accomplishments listed above and the many others by this administration. I don’t want to say Democrats are stupid. In fact, I know they are not. But one thing is abundantly clear: “IF” Democrats are NOT stupid if they expect the support of the limited legitimate policies that they are promising to Americans they will implement if elected, they definitely think American voters are stupid! And you know what? I think I’ve hit on something: I think Democrats not only hate President Trump and all he stands for, I think they feel exactly the same about his conservative supporters! Experts run roughshod throughout every department of the federal government. Anytime there’s a question about any issue — security, foreign policy, the economy, elections, border walls, you name it — there’s an expert somewhere who factually knows the answer to any question about any of these. Today we will look at a few of those, specifically U.S. Intelligence Agencies. You may have noticed the heads of the leading U.S. Intelligence Agencies just testified before Congress about the current status of the U.S. regarding all intelligence matters domestically and around the World. Before we look at a few of their findings, let’s look at a few findings of previous intelligence officials — “experts” — and compare those to todays. We all “know” that the Russians did everything they could to impact the 2016 presidential election against Hillary Clinton and for her opponent: Donald Trump. After all, Vladimir Putin knew Russia would do better with his good buddy in the White House instead of that brazen bastion of truthfulness and justice as president — Hillary Clinton. After all, Trump promised in his campaign to take the U.S. back to its former prominence as having the strongest and most powerful military on Earth, to force Russia to get out of Ukraine, and to stay out of the Middle East. Hillary, on the other hand, had just supervised the sale of massive amounts of U.S. uranium to a Russian company owned by Russia and did so through a Canadian company to “launder” the transaction. One of two things is apparent: either Barack Obama ignored the “real” news he had received from the Intelligence Community two months before saying the above, or the “real” news was not real at all, but “fake news.” Stating either one of those two to be correct would be pure speculation on my part. But one thing is certain: RussiaGate is alive and kicking. Whether “real” or “fake,” it has already cost taxpayers millions of dollars as multiple investigations by Congress, the FBI, and now Special Counsel Robert Mueller are engaged and all aggressively pursuing any evidence of collusion by anyone affiliated with Donald Trump or even the President himself with the Russians. I have asked this question before, but its significance bears its repeating: with the most elaborate, most well equipped, most proficient intelligence gathering capabilities on the face of the Earth, is it plausible to believe at this point almost a year into RussiaGate not a single shred of evidence of Russian collusion by the Trump Organization has been leaked to and/or unearthed by the Press? Certainly in this 24/7 news cycle in which we live (that has turned into the 24/7 “Leak” cycle), if there was any evidence of collusion, we would certainly know about it. Further, I hear every day this statement from multiple news sources: “Every Intelligence Agency has confirmed the Russians tried to hack the 2016 Presidential election.” THAT IS NOT TRUE! Even the NY Times corrected that fake story by stating that just 2 of the 16 intelligence agencies had participated in the preparation of a report that was then given to the Department of National Intelligence (DNI) about Russian hacking. Later it was revealed that 13 handpicked intelligence employees prepared that report. No big deal? 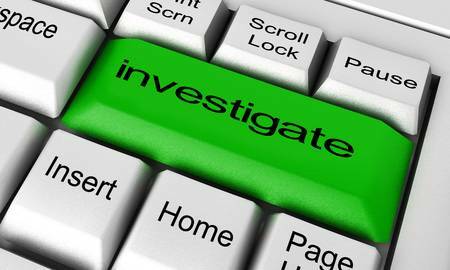 Normally when such a report is prepared, several HUNDRED intelligence specialists are involved! Even if their conclusion was legitimate and accurate, where is the evidence? When I ask that question to people in a position of authority, all I am told is that “the evidence of Russian election interference is classified since it’s part of an ongoing investigation.” Really? Are we expected to believe that ANY evidence at all of ANYTHING illegal in the political world of Washington D.C. can possibly remain secret — no matter if classified? Don’t tell the news media that — they’d go out business not having any “fake news” from “anonymous source leaks” to report. Based on simple logic, I have over this past weekend — in the midst of numerous hours of exhaustive investigation looking for Russian election hacking evidence — made a blockbuster conclusion: there was NO Russian attempts to hack into the 2016 election that had not been attempted in previous American elections over and over again. And the Obama Administration knew about them for years and did nothing about them. My conclusion about President Obama’s “expert” opinion? Either his experts were incorrect, politically motivated, or HE purposely misstated the truth. You decide. It’s doubtful that few Americans (if any) feel really confident in the reliability and veracity of the intelligence that is given to us from the leadership of U.S. intelligence agencies. Through the last two years, time and time again we hear, see and read reports of leadership in the FBI, CIA, DNI, and NSA give Americans “expert” opinions based on information provided them that is always classified. It seems that when they couch that presentation with the term “classified,” we are intrigued to hear what they say — like it’s a secret that they shouldn’t tell us, but because we’re Americans they’ll push the envelope and go ahead and tell us. And there are several others since these. I wonder why that is? TEHRAN, Iran — Iran’s Ministry of Defence has published a video purportedly showing the launch of a new cruise missile, saying it has a 1,350-kilometre (840-mile) range. In the 37-second video on the ministry website, the launch was shown from different angles with the projectile finally hitting somewhere in the desert. Iran has missile capability of up to 2,000 kilometers (1,250 miles), far enough to reach archenemy Israel and U.S. military bases in the region. King: “But since our departure from the deal they have abided by the terms. Haspel: “Yes, they are making some preparations that would increase their ability to take a step back if they make that decision. So at the moment technically they are in compliance. “Regarding North Korea, the regime has halted its provocative behavior related to its (weapons of mass destruction) program. North Korea has not conducted any nuclear-capable missile or nuclear tests in more than a year and it has dismantled some of its nuclear infrastructure. As well, Kim Jong Un continues to demonstrate openness to the denuclearization and of the Korean Peninsula. “Having said that, we currently assess that North Korea will seek to retain its WMD capabilities and is unlikely to completely give up its nuclear weapons and production capabilities because its leaders ultimately view nuclear weapons as critical to regime survival. Our assessment is bolstered by our observations of some activity that is inconsistent with full denuclearization. I would love for American intelligence to be motivated by just one thing: THE TRUTH. Unfortunately, it has become clearer and clearer that former and current intelligence agency heads are not necessarily driven by that one thing. In today’s Washington, it is apparent that much of what we see and hear is driven at least in part by political motivation. Fired FBI Director James Comey illustrates how intelligence experts are polluted by political and personal agenda. Comey totally botched the email server investigation of Candidate Clinton, violated FBI and DOJ protocol in multiple ways, and then committed multiple felony violations of his OWN mishandling of classified information and documents. John Brennan was caught lying under oath to Congress. James Clapper took the Steele Dossier to CNN (where he had just signed on as a “contributing expert” even though he knew its sourcing was funded in part by the Clinton Campaign and that most of it was unverified), and in doing so violated multiple regulations and DOJ operating procedures. We could go on and on and on. But let’s just cap this off by making this position statement: Americans not only “Want” the best intelligence apparatus in the world, Americans “Deserve” the best intelligence apparatus in the world. And Americans no longer believe that we have that! It’s because of a combination of things. But all of those “things” boil down to this: People. Intelligence operatives are people. And people are each different from other people. But in Washington D.C., we have made it abundantly clear, the driving force of most there are power and all that power can bring to them personally. No, everyone in intelligence is not dishonest, self-serving, and politically driven. But many are. And because of that, Congress and the White House are going to have to in unity re-create the way American Intelligence operates, and not from the top down. As this president has said over and over again, the workers in Intelligence are rock solid on the most part. The tragedy that strikes again and again always seems to originate at the top of each of these agencies: the “experts.” Many of those have been exposed and have been eliminated. But what remains in their wakes are all those processes that allowed them to weave their webs of deceit. Those must be eliminated. So, President Trump, many Americans hope you have 6 years to correct these problems. But you may have just two more years to tackle them. I doubt I need to say this, but you just need to roll your sleeves up and get at it. And one more thing: you have smartly from afar allowed Special Counsel Robert Mueller the distance and freedom to run his traps trying to trap you. That has been a great decision for you. I encourage you to let it play out. It is fairly obvious that he’s on a dead-end street. Let him crash. Democrats will NEVER accept that he — an “expert” does not and will not find any collusion between your organization and Russia regarding the 2016 election. In their “looking,” his group is trying to create some process crimes with which they can charge those in your organization and possibly even you. Let them look. They’re only thinning your air and spending millions of OUR dollars in their doing so! It’s worth it to us just to watch them continue to run in circles. That seems to be what today’s “experts” do! Have I lost my ever-loving mind? Most people feel that House Speaker Pelosi is the poster child for the term: “Duh!” She has certainly embarrassed herself and her party on numerous occasions making some of the most absurd statements ever heard in D.C. I could give example after example of her doing so. Most conservatives — especially the “experts” in media labeled as conservative — have watched as Pelosi and her Senate Democrat partner, Chuck Schumer, have so far turned a deaf ear to the far-left agenda being bandied about by the “New” Left of their party. Each of those declared presidential candidates seem to have bowed at the altar of Alexandria Ocasio-Cortez to get a list of the “acceptable” policy talking points to use to begin their campaigns. AOC seems to hold all the permission slips for policy positions for the Democrat Party right now. This cry is being parroted by everyone on the Democrat extreme left who is so far running for President. But that cry is not new. Hillary Clinton put the idea of “Medicare for all” or “single-payer” healthcare into her husband’s first White House term. It was shot down then, primarily because her plan as described to the nation was hard to understand. But what Americans DID understand was the actual cost to the country and the damage such a plan would do to the economic health of the U.S. and to U.S. taxpayers. Little in Hillary’s plan has changed in today’s version — except for the addition of three zeroes. The price for “Hillary-Care” was in the billions. The price tag for the current “Medicare for All” adds at least three zeroes and four by some estimates and is in the trillions. If one can get past the cost of such a plan, it is impossible to ignore the inevitable changes such a program would make to the actual healthcare system. Medical professionals in the tens of thousands would head for the door if Medicare-for-all was ever implemented. Why? Follow the money. How does that compare with “Medicare-for-all?” Conservative estimates from several bi-partisan groups set the 10-year cost of the currently proposed “Medicare-for-all” at $70+ Trillion! Just so you can get a grip on the viability of such a health program, the total U.S. Government revenue for 2019 is anticipated to be $3.422 Trillion. “If” the projected cost of Medicare-for-all hold true, the 10-year estimate would gobble up the entire U.S. Government gross income and still be short! Healthcare providers would be the first to get cutoff. And without good doctors, our amazing healthcare system is finished. Current Democrat declared Presidential candidates each call for such a program. You may remember that Bernie Sanders in his 2016 campaign called for free college tuition as did Senator Elizabeth Warren PLUS cancelling all secondary education student school debt. How much would that be? And who would payback that $1.606 Trillion? American taxpayers. One state has already taken steps towards free tuition. New York just passed a bill that offers illegal immigrants free secondary education! New York of course assumes that other states and the federal government will follow suit. In the New York plan, middle-class New York families who struggle by with only about $40,000 annual family income on average are NOT eligible even for tuition assistance of any sort for their children. But people who are in the U.S. illegally but live in New York for as little as just 3 days are eligible for free college tuition. By the way, New York City’s mayor implemented a program for illegals who live in the Big Apple that gives them free healthcare. It is estimated that this program ecncompasses approximately 300,000 illegal immigrants — free healthcare provided. This while there are 76,000 LEGAL homeless people on the streets of New York with NO healthcare at all. All of the declared Democrat presidential candidates are promoting taking care of both of these secondary education bills: government bailout of 100% of student loans and free secondary education going forward. Just like “Medicare-for-all,” none have offered a serious plan for paying for it. The obvious solution they will all propose details of in coming days centers around one thing and one thing only: raising taxes. We’ll talk about that in coming days discussing what taxing options are there, which they are each considering, and paint the TRUE picture that shows how each of their proposed plans would directly impact Americans, the U.S. economy, and the pros and cons of each — “if” there are even any pros! Let’s be completely honest in this conversation: Nancy Pelosi is NOT stupid. She may be a bit vapid and incoherent from time to time; she may say some silly things that actually mean very little from time to time — like “We must pass the Obamacare plan so we can see what’s in the plan” — but know for certain all her hens are in the henhouse. And she’s not shooting from the hip. Think about it: she is known as by far the best Democrat Party fund raiser of all time. And she’s not collaring ignorant donors to con them out of those millions in campaign donations. She meets with and communicates successfully with some of the biggest tycoons from America’s biggest companies. And they donate millions to various Democrat Party entities through Nancy. If Pelosi wasn’t all there, as much as these industry titans may like her, the Democrat Party, and as much as they dislike Donald Trump and his followers, few would drop a million or so to a liberal PAC just because Pelosi came calling. Nancy has clout. It may come from the fact that she knows where many skeletons are buried in a bunch of backyards, but she knows how to parlay that along with significant and credible arm-twisting to raise those millions. So she certainly has something up her sleeve to allow the likes of Senators Kamala Harris and Kirsten Gillibrand to so far out from Democrat primaries start declaring these far-left socialist programs on which their campaigns are based. What could her reasoning be? Pelosi knows the national electorate pretty well. Oh, she like most Democrats missed in 2016 just how disgusted a large portion of the electorate’s middle were with all the Democrat Party rhetoric and that Dems offered up Hillary Clinton as pretty much their only choice. Enough of those in the middle jumped ship and elected the most radical president in recent memory. She and other Democrat leaders feel they made a mistake. And she will not do that again. She IS letting Harris and Gillibrand and Warren and whoever else declares in the next short period of time get out in front in the promising of socialist ideas that if ever passed by Congress would break the federal government and bankrupt all who live and work in the U.S. And Pelosi knows this congress (and any other) is likely to pass few (if any) of these preposterous measures. But Pelosi knows two things: (1) these are good far-left policy talking points. And Democrats need new and fresh ideas — ANY new and fresh ideas — to take voters’ minds off of Trump’s significant successes in his first two years. How else can one explain why no one on the left even mentions how successful are the Trump economic programs that have resulted in seldom seen (and certainly not seen in recent history) benefits of many kinds for Americans? There is no other explanation. And Democrats certainly want to keep voters from thinking about those good things happening and concentrating on all the evil in the Trump Administration. (2) She knows the rising stars will only be around for a minute or two! 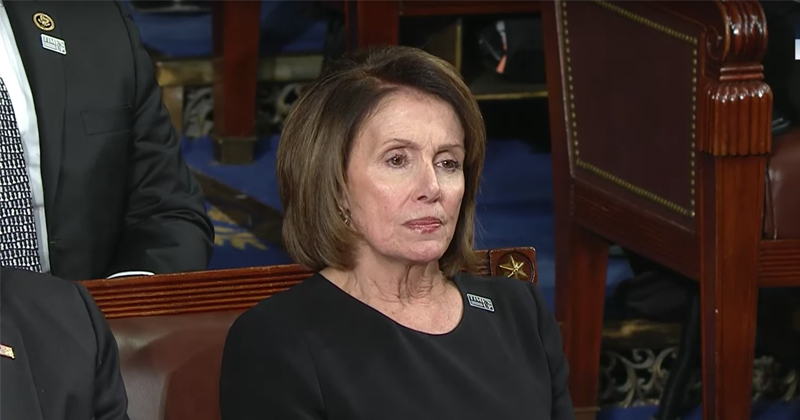 That’s right: Nancy is certain those who raced to the front for the 2020 Democrat nomination will fail and fail miserably long before substantial and more middle-of-the-road Democrats get into the race. Let’s face it: the U.S. economy cannot possibly provide money for the two programs alone that Harris, Gillibrand, and Warren are already touting as things they certainly will implement if elected. Pelosi know she doesn’t have to say one thing: the bright stars who are shining today by promising everybody a pot at the end of the rainbow will burn bright only so long. Reality will set-in before too long and then the not-so-new and shiny 2020 candidates will get into the race and pick-up where these fly-by-night stars burn out. THEN she will engage in campaigning at high speed. By the way: Schumer is doing the exact same thing. If President Trump or the Republican Party are confident of a 2020 victory just because of the wins by this administration so far, they are sadly mistaken. Democrats are smarter than their 2016 race showed. And they certainly have a strong and large field to pick from. If Hillary stays out of the race, there will be a substantial cross-section of choices for Americans that include some really strong candidates. Additionally, the Deep State is still out there with all their ammunition taking constant shots at Donald Trump. We don’t know just how large the Deep State base is, but we DO know it is powerful and far-reaching and encompasses more than just the Democrat Party. Many of the establishment Republicans have been exposed as “in the tank” for anybody but Donald Trump. Don’t forget the Mainstream Media no longer even tries to disguise their undying hatred for Donald Trump. Months ago they took marching orders from whomever sends them out and in unison showed their decision to simply abandon truth in reporting. They really have become the public dissemination of leftist propaganda through their reporting. And they don’t care who knows about it! I know President Trump feels confident that Robert Mueller has no evidence of any wrongdoing on his part that would in anyway disqualify him to serve as President. But the President had better be careful: remember that innuendo in this “justice” climate is believed by more people in the U.S. than ever just because some news source delivers it. If CNN, MSNBC, Huffington Report, New York Times, Washington Post, NBC, ABC, CBS say it’s so, it is so. Have you noticed that Nancy is standing on the sidelines through all of this early political rhetoric from Democrats declaring their candidacy? I have not heard a thing in the news from her about any of this. She’s too smart to pipe up now. Think about this too: what if Hillary decides to run? Their are key insiders from her 2016 organization who feel strongly that she will run. If so, how would that affect the campaign of others? It would put Pelosi in a bad spot. Why? She would be forced to make a stand either for Hillary or against her running again. As powerful as Nancy is, I don’t think she wants to take on the Clinton dynasty. There surely are skeletons in THAT closet. But I am certain Pelosi has some skeletons in her backyard. And I guarantee that Bill and Hillary know where some Nancy’s skeletons are buried! In politics, gridlock or deadlock or political stalemate refers to a situation when there is difficulty passing laws that satisfy the needs of the people. A government is gridlocked when the ratio between bills passed and the agenda of the legislature decreases. Laws may be considered as the supply and the legislative agenda as demand. Gridlock can occur when two legislative houses, or the executive branch and the legislature are controlled by different political parties, or otherwise cannot agree. With that thought in mind, if the fix for gridlock in Congressional matters was simple, we would not have seen it during the first two years of the Trump presidency: Republicans controlled the House of Representatives, the Senate, AND the White House. Using the above definition of “gridlock” means there certainly should have been none in those years. Yet, in comparison to previous Congresses, very little was sent to the President’s desk regarding passed legislation for his signature. The same held true in Obama’s first two years in office — 2009 and 2010. Though Democrats controlled the House and Senate with him in the White House, several meaningful and certainly critical pieces of legislation could not clear both houses of Congress. And it’s not getting better! Today, the U.S. Senate considered two versions of legislation that would have funded the government and reopened it after 34 days of 800,000 workers being off. But, as usual, both bills failed to pass: one was proposed by Democrats, one by Republicans. What is at fault for the government remaining closed? “If I sponsor a bill declaring apple pie American, it might fall victim to partisan politics,” declared Barack Obama when he struggled with a Republican controlled Congress. His statement came in a speech on the border crisis, (yes, there was a border crisis then and still is!) but could have been made about any number of issues. From the federal shutdown to gun control, stalemate is America’s political norm. Congress is more interested in playing politics than solving problems. Even discussions about congressional gridlock have come to resemble the gridlock itself: tired. Language, like politics, goes NOWHERE. In a study for the Brookings Institution, a research project sought to place the discussion on firmer “factual” ground. The study examined America’s history of legislative logjams in order to put in context the modern congressional stalemate. Part of the challenge involves measuring legislative success: what’s the baseline against which to compare finished legislation? At what point does a system designed to encourage healthy checks and balances become hopelessly deadlocked? To get a look at legislative gridlock minus the emotions that swarm around it, let’s look at the system from a historical perspective so we can fairly compare. Let’s look at the productivity of Congress from 1947 to 2012 by looking at the ratio of failed measures to all major issues on Washington’s agenda. (For an issue to be “major,” it needed to inspire at least four New York Times editorials in a given Congress. I know: you can’t believe I’d use that as a source for comparison!) By this comparison, Lyndon Johnson’s Great Society Congress holds up as the most productive post-war session—just 27% of major legislative issues remained unresolved. By contrast, three-quarters of the major issues on Obama’s 2012 legislative agenda went nowhere. Even during the Democrats’ filibuster-proof majority in 2009-2010, proposals to address big issues, such as education, campaign finance, climate change, immigration and gun control, stalled in legislative limbo. That same study found that the Obama stalemate fits a well-established pattern: when elections yield more polarised parties and chambers—as they did during Bill Clinton’s second turn and Teddy Roosevelt’s Progressive era and the current D.C. mix—bargaining becomes strained and compromise is out of reach. The data confirms that gridlock has gotten worse and worse over the past half-century. Between 1947 and 2000, for instance, conference agreements averaged about 100 per congress. Between 2001 and 2012, however, the number was just over 20. This number plummeted even further during the 112th Congress, from 2011 to 2013, when only seven final agreements were reached via conference committee. During the Trump presidency, even with a Republican controlled House and Senate, legislation virtually squeaked to a crawl regarding major issues. It is obvious that politicians can’t quite even agree on what constitutes a “major” issue — like illegal immigration which is burning up Congressional debate and in the American public. Remember this? When Clinton pushed for health care reform in 1993-1994, the GOP insisted there was no health-care crisis. Today, the parties disagree about whether budget deficits are problematic, whether the minimum wage needs to be raised, and whether campaign-finance reform is needed. At times they even argue about basic facts! Both parties have specific talking points and ideas, and Hell will freeze over before either bends through compromise! What Has Changed Since the 1960s? Findings in the study point to the nature of electoral change. Before President Johnson passed civil-rights legislation in 1964, the South was Democratic and the parties were politically diverse. There were liberal and conservative Republicans and liberal and conservative Democrats. It was easier for legislators to find common ground because there wasn’t the same ideological gulf. But the passage of the Civil Rights Act changed partisan politics in the South: the Republican Party gained a foothold and lost many moderates. Liberal Republicans are pretty much GONE, and centrists are becoming an endangered breed. 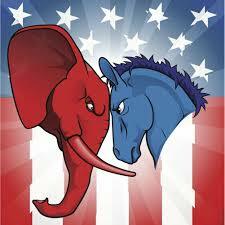 Liberals are now aligned with the Democrats and conservatives are with Republicans—and never the two shall meet! Americans have grown accustomed to this “us” versus “them” mentality. And there is no indication that current levels of partisanship will diminish soon. In fact, the Brookings study shows that the policy distance between the parties has returned to differences not seen since the end of the 19th century. Because control of the House and Senate now swings back and forth, parties see no need to compromise. Politicians know they can simply wait till their party is back in charge, and seem to stop lawmaking just waiting for the change of the guard. Example: After losing the White House in 2008, the Republican party shifted towards the right. This political divide gets worse each time a party finds itself in minority status; it’s easy to oppose everything when you’re not in charge of governing. They don’t think the public will hold them accountable—so they can get away with being unco-operative. Can such a system correct itself? It might help if negotiations were taken out of the public eye. Legislators in the spotlight feel pressure to stay true to their base, but behind closed doors they might have an easier time coming up with solutions. Take immigration reform. Republicans want border security; Democrats want a path to citizenship. A deal could put each party’s demands together, but legislators hold-out—particularly before an election as we saw in 2018—because they don’t want to risk being portrayed as disloyal by the public. And we ALL know the Leftist media would destroy Republicans just as Conservative media would do to Democrats. Some think the answer might lie in the power of a strong personality—as happened in the case of Teddy Roosevelt, who was able to push Congress from its standoff. When Barack Obama was first elected president, many had hoped that he, too, could push through partisanship and get more cooperation. But he made no real effort to do that. Remember his “uniting” proclamation: “Elections have consequences.” In other words, he put Republicans on notice that all he needed was his pen and his cellphone. If trust and mutual respect are necessary for Congressional action to discuss and pass meaningful legislation, I think we are in for a long wait. As we have seen in the current environment in D.C., nobody in Congress or the White House is jumping to embrace compromise of any kind. That’s sad, because the very nature of tackling major issues in Congress demands meaningful and honest discussion of the ideas of each side. I think that may be being done. But, infortunately, it seems gridlock jumps in right at that point. To get to an answer, each side must understand and accept that in negotiations, nobody can get everything they think is right and that they want. Both sides MUST give a little to find consensus. Regarding this President, Donald Trump has a pretty convincing background in making deals in business. But even he as the great deal-maker that he is struggles to find consensus with those in Congress with different ideas. He’s shown flexibility in negotiations — often more than those in Congress with whom he negotiates. But just as President Trump finds himself negotiating with very resolute and political lawmakers, those same lawmakers find themselves negotiating with the guy who wrote The Art of the Deal. They don’t yet show that they understand holding out in negotiations is part of the success in accomplishing resolution. Lost in all this are those in the American public who can do nothing but stand and watch. That includes 800,000 federal workers who will now miss their second paycheck. 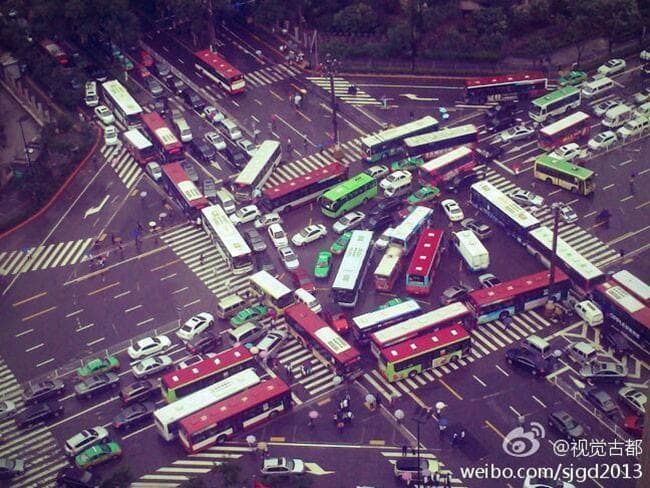 It is sad that those innocent workers find themselves in the bullseye of Gridlock through no fault of their own. But it is even sadder that the very ones who could have taken actions to prevent the shutdown in the first place still are feeding the logjam. Where’s the irony? They are telling Americans that Trump giving up and relenting on southern border safety measures that a majority of Americans want is the ONLY way to make government funding happen. They never mention the OTHER action that could do the exact same thing in one day: Democrats could fund and reopen the government in one day as well. How? Fund the bill that insures border security and funds the wall. 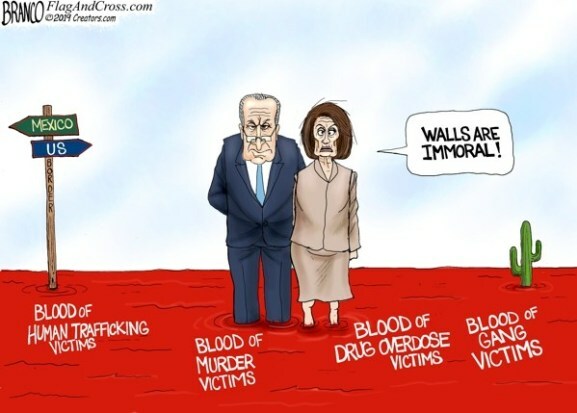 They have all over and over in numerous interviews and speeches demanded those same measures themselves — including the Wall! Why won’t they? Political expediency is more important than the financial welfare of those 800,000 workers and their families. THAT is the sad part of this debacle. From 2008 through 2016, the Democrat Party face was that of former President Barack Obama. Though many of his policy positions changed during his 8 years, it was certainly obvious “when” he made those changes and “where” specific changes ended up. In today’s Democrat Party, not only is the determination of who is the face of the party impossible, so is the determination of the Democrat Party platform. Let’s see if maybe we can narrow the options for those determinations. So who is the Democrat Party’s leader? Is it House Speaker Nancy Pelosi? Or is it new Congresswoman Alexandria Ocasio-Cortez? Are Democrats looking to get governing ideas from the left-leaning, aging, yet experienced and powerful California Speaker, or from the young, energetic, Socialist from New York? Here we are two years after Obama gave the White House keys to Donald Trump and we still don’t know who is leading his party. Rank and file Democrats don’t even know! Consider this: they made it through the 2018 midterm elections and fared very well. But the question that many Americans are asking today is “Can the Democrat Party not just survive the 2020 election, but can they wrestle control of the Senate and the White House away from Republicans? I don’t have a crystal ball, but if history plays a role here, it is doubtful Dems will gain control of both while maintaining their House majority. And that should weigh heavily in their decisions regarding legislation and how the House operates in the next two years. And, quite honestly, they’re not getting off to a good start. Oh, the House of Representatives is in session? Few know that answer with certainty. All we seem to hear (because all the mainstream media want to “report”) is “Trump’s government shutdown.” They forget that the President has put four different offers for resolution on the table to which Pelosi and Schumer have not only declined but refuse to make counter offers. Maybe that’s the way the House Democrats feel they can win control of the entire government! Yes, there ARE things happening in the House of Representatives — but nothing substantive. They have offered at least 6 bills passed by the Democrat majority for government funding. But they did so purely symbolically, knowing there was nothing going to happen across the Hall. Senate Majority Leader Mitch McConnell made it clear weeks ago that the Senate would not waste time considering those bills or any that the President would not sign into law — and that was NOT going to happen for any legislation that did not contain funding for the southern border wall. If we rely on what’s happening now in the House, there is NO party leadership at all. House Speaker Pelosi is back in charge. 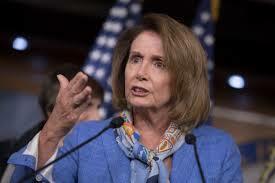 She wielded her substantive power and apparently cut deals with those Democrats in the House that opposed her return. But she is known as by far the best campaign fundraiser for Democrats in House history. For that, they needed her in their corner. You can’t fix stupid. And that statement was and is stupid. Oops…it seems that Chuck only believed that when Obama was in office. He planned on that working the same way during a Hillary Clinton two-term stint at 1600 Pennsylvania Avenue. But the American people thought otherwise. Let’s put this freshman member of Congress and her political views in perspective: she has shared her ideas and ideals throughout her campaign to many who live and work in New York, fellow members of Congress since her election, on all these talk shows on television and radio, and still the Mainstream Media are fawning over her simply because she’s young and attractive, speaks well, and is a minority Congressional member of the House of Representatives! Apparently, those are the only traits necessary to be considered a potential leader of the Democrat Party. Do Americans really support that concept? In AOC’s own words, “Call me a radical.” I remember Americans pretty much saying the same thing about that junior Senator from Chicago when he ran for President. Democrats (and enough “other” Americans) felt the U.S. needed a president that would bring radical new ideas to the nation. Obama’s views were radical when compared to the mainstream. And for eight years, he did his best to fulfill his promise to “lead the nation in fundamental change.” Unfortunately for the U.S., his leadership drove us in economic devastation and eroded almost all of our international credibility while killing our military might. Are Democrats ready for new “radical” leadership? Are U.S. citizens ready for that including Democrats, Republicans, and Independents? Thankfully, the New York radical is not old enough to make a bid for the White House. But, the leadership of the Democrat Party is in her sights. And mind-dumb Millennial and Generation Z-ers are enough in number to probably see that happen. 70% Tax Rates: hopefully we will NEVER see that — at least not in my lifetime! Former House Speaker Nancy Pelosi made a return trip to the House podium to accept the gavel as the “old,” new Speaker of the House. The 78-year-old California Representative is and has been one of the most powerful members of the House. I don’t think anyone knows for certain exactly where that power comes from, other than she is extremely persuasive, is historically the best political campaign contributions fundraiser, and smoother and more effective at garnering and using Washington political might and power than most others in Congress. Some say “She knows where all the bodies are buried!” And there certainly are MANY bodies that were victims to D.C. political fallout she, is if not responsible for, witnessed most of the burials. What Power does Speaker Have? The Speaker of the House is the presiding officer of the United States House of Representatives. Typically the head of the majority party in the House, the speaker outranks the Majority Leader. The salary of the Speaker is also higher than that of the Majority and Minority Leaders. The Speaker rarely presides over regular meetings of the full House, instead delegating that role to another representative. The Speaker does, however, typically preside over special joint sessions of Congress in which the House hosts the Senate. Makes rulings on disputed House procedures and parliamentary issues. As any other Representative, the Speaker may take part in debates and vote on legislation, but traditionally does so only in exceptional circumstances such as when his or her vote could decide very important issues such as resolutions declaring war or amending the Constitution. Serves as chair of the majority party’s House steering committee. Perhaps most clearly indicating the importance of the position, the Speaker of the House stands second only to the Vice President of the United States in the line of presidential succession. Pelosi is the first person to serve a second term as Speaker in the last half-century. What are Pelosi’s Already Known Power-Plays? Pelosi’s brother-in-law got a sweetheart deal from the US Dept. of Energy when taxpayers coughed up more than $700 million to a firm where her brother-in-law is a partner. Obamacare: Pelosi told Americans, “We have to pass the bill so you can see what’s in it.” Ilya Shapiro with Cato recently said more than 2,000 waivers have been given to organizations and companies across the country. Early on in the waiver process, however, of a sampler of 204 new Obamacare waivers, 38 were for restaurants, nightclubs, and hotels in Pelosi’s Northern California district. Many of the remaining waivers went to labor unions and other Dem-affiliated groups. (TruthNewsNet.org published this 11/18/2018) “A report from the Washington Free Beacon revealed that Pelosi is alleged to have enriched herself and her husband, Paul, through her efforts to “steer taxpayer funds” to a San Francisco-area light rail project. Pelosi’s support for the project caused local real estate prices to escalate such that a large parcel of land owned by “high-dollar Democratic donor” Marc Benioff’s company received a huge profit upon selling it to the Golden State Warriors of the NBA. Pelosi’s husband is also a significant investor in the company. Pelosi pushed for taxpayer subsidies for the rail project for over ten years, and that project did much to boost the real estate market in the area, according to commercial real estate experts. The report says that “liberal billionaire hedge fund manager” Tom Steyer — best-known for funding millions of dollars for national television ads promoting the impeachment of President Trump — may also have been further enriched through Pelosi’s efforts to provide federal subsidies to the project. Rep. Charlie Rangel’s (D-N.Y.) tax shenanigans are public knowledge. Despite that, Pelosi left him in charge of the committee that writes tax regulations. An average American would go to jail—Rangel kept his committee chair despite not reporting half his net worth among other lapses. Rangel wasn’t the only shady politician Pelosi tolerated—there’s a long list. Among the names, former Rep. Tim Mahoney (D-Fla.), the late Rep. John Murtha (D-Penn. ), now imprisoned Rep. William Jefferson (D-La. )—there’s a very long list. Nancy Pelosi is facing accusations of cronyism after a solar energy project, which her brother-in-law has a stake in, landed a $737 million loan guarantee from the Department of Energy, despite the growing Solyndra scandal. The massive loan agreement is raising new concerns about the use of taxpayers’ money as vast sums are invested in technology similar to that of the doomed energy project. The investment has intensified the debate over the effectiveness of solar energy as a major power source. The SolarReserve project is backed by an energy investment fund where the Minority Leader’s brother-in-law Ronald Pelosi is second in command. PCG Clean Energy & Technology Fund (East) LLC is listed as one of the investors in the project that has been given the staggering loan, which even dwarfs that given to failed company Solyndra. Other investors include one of the major investors in Solyndra, which is run by one of the directors of Solyndra. As evidenced recently in a number of press conferences, Pelosi clearly seems to be losing it. She has often forgotten her train of thought, stumbled for words or names, slurred her comments, experienced pregnant pauses, etc. Something is not quite right. Last year, a Washington, D.C., pharmacist made a very disturbing revelation. He reported providing Alzheimer’s drugs for some members of Congress. In making this revelation, he stated the obvious concern we all should have, “They’re making the highest laws of the land and they might not even remember what happened yesterday.” While we do not know if Pelosi is among this pharmacist’s customers, at a time our nation is in such turmoil, we simply cannot afford to keep members of Congress in office who are suffering from mental health issues. The “Power” problem was NOT invented by Pelosi. It has existed in Washington for many decades. Actually, it probably began in the early years of Washington D.C. when legislators discovered the power they had simply from representing voting constituents from their states and districts. Think about this: THEY write and pass laws; THEY determine what taxes to levy against Americans and American corporations; THEY determine what to pay themselves; THEY determine all their own personal benefits; THEY determine how much in “allowances” they are to receive just for being Congress members; THEY determine on which days they work and which days they do not. Members of Congress by giving themselves the ultimate power created the abilities to exert power over people from Washington. Are there examples to which we can point that illustrate this premise? Absolutely! Choose any one of the examples given above (and also in the TruthNewsNet.org story published here 11/18/2018) to see the results of the power that emanates from Congress. You see: everything — yes EVERYTHING — that does or does not happen in Washington is the product of one and only one thing: POWER. “What’s best for the country,” “What voters want,” “What I committed to do or not to do during my campaign,” mean NOTHING! All that matters is what the power-brokers in Congress and elsewhere have placed on the political agenda for members of Congress to do. Is Pelosi caught-up in this thirst for ultimate power? I have never heard her admit to that. But when suspicious things happen or suspicious things are said, people should at least stand at attention and watch closely so as to garner truths or lies being given. There are too many times and too many examples of Pelosi’s aberrations of her promises given and statements made to detail here. But there are many. In my opinion, there are only a few things that Pelosi has committed would occur if she was named Speaker I’m certain will happen. And 6 of the 7 she gave that are listed above will she push for. The one “missing” will be Campaign Reform. Why not Campaign Reform? Oh, the House will pass a bill called Campaign Reform. But it will NOT be about meaningful or real reform. Think about it: why would they want reform when Hillary raised twice as much money as did Donald Trump in the 2016 presidential election? What they will call “Campaign Reform” will be nothing more than an attempt to change existing law regarding voting (not campaigning) so as to give currently non-registered voters the ability to vote in federal elections. Additionally, any campaign measure they bring up will be an effort to handicap Republicans in elections. What will happen in Congress? Hopefully in the Senate now with a larger Republican majority, nothing fundamentally structured to further hurt the nation or change the Constitution will be allowed to succeed. But I will guarantee this: the House will do everything possible to find a way to get rid of President Trump. And to do that, they must find some way to rid themselves of Vice President Pence, too. He would replace Trump. And Pence is even more conservative than is the President. What they may do to achieve their ultimate goal of regaining total control of the U.S. government is frightening. I am NOT a conspiracy theorist, but the fact that the Left hates Trump for interrupting their united efforts to take the U.S. toward a totalitarianism system of government than they hate him personally. And I think everyone knows how much they personally disdain Mr. Trump. Americans are waiting with many questions about what and how Congress will act regarding legislation — what Congress is designed to do. That comes as control of the House of Representatives crosses the aisle to the Democrat Party in January 2019. Though the GOP picked up several Senate seats that increased their Senate majority, all “fiscal” matters — matters driven by government funding — must come from the House. Yes, it is true that for the first two years of the Trump presidency Republicans controlled both houses. But because of rules put in place — rules passed by each house of Congress that are NOT Constitutional mandate –, restrictions regarding even taking up measures for floor debate and what can and cannot be done in the House and Senate lie entirely at the feet of members of Congress. Why? In the past, members of Congress were really concerned about how Americans felt about Congress and the job they do. Their approval ratings among the public were important. But in past years Americans watch as Congress demonstrates, again and again, their lack of concern for the will of Americans in legislation. Their approval ratings as a result of their lack of concern for the will of Americans hover around just 10%. And they don’t care. With that in mind, and with Democrats reclaiming control of the financial mothership in Congress — the House of Representatives — don’t you think Congress would want to get back to work and diligently move legislation for Americans and government operations forward? One would think that. And one would be wrong. 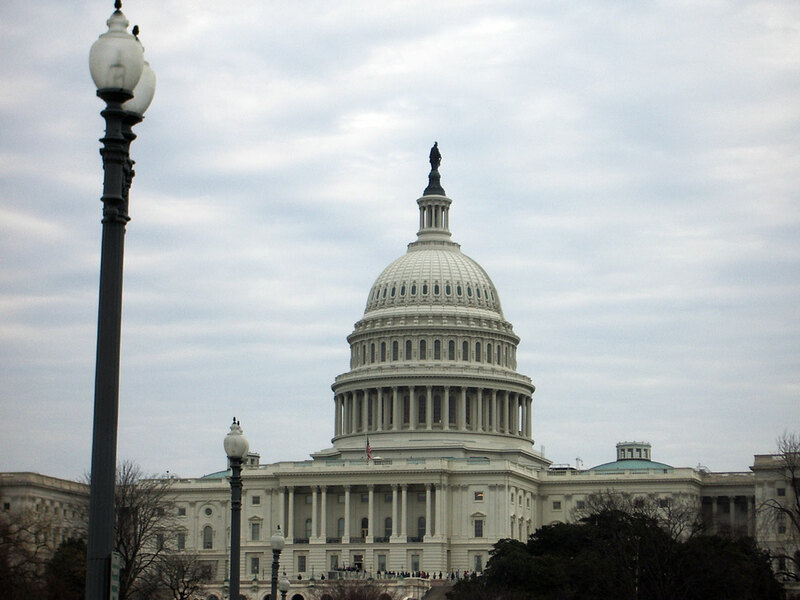 What legislative matters do you think Congress should be concentrating on? Let’s name a few: Further tax relief for the middle class; meaningful comprehensive immigration reform; sealing both U.S. borders to stop the rampant influx of illegals from the north and south; revision of healthcare financing and regulation to make it affordable for all Americans without tampering with healthcare’s effectiveness; taking control of runaway U.S. government federal deficit spending. There certainly are others. But I feel almost all Americans would be tickled if Congress would make at least honest efforts on these during the next two years. But it won’t happen. Even with a fresh start with a new House of Representatives, NOTHING substantive will be accomplished in the next Congress — nothing but passing a budget after several spending resolutions are passed at the last minute. The cycle of Congressional lunacy just rolls over — again, and again, and again, and again. Did you notice as I did the lack of party platform promotion in the 2018 midterm campaigns by either Party? There were none. All the campaigning were against those running on the other side. Voters heard very little from either Democrats or Republicans about any ideas to fix any of the broken government process mentioned in the last paragraph. In fact, the election conversation was driven primarily by just one thing: Donald Trump. And seldom did you hear at campaign rallies or in television, radio, or print ads “new” ideas from either Party’s candidates. They each simply drew a line in the sand: either for or against President Trump. Hardly anyone spoke about the amazing accomplishments in the nation on his watch in just his first two short years. (I won’t list them here, but we all know about most) Regardless of the claims made by his predecessor for initiating all of those successes, most Americans are smart enough to look at their payroll deposits and see deposits for corporate bonuses, pay increases, and more net pay because of the reduced federal income tax deductions. They see their 401K values have risen rather than leaking away as under the last President. Americans also saw their neighbors who had previously struggled to find work get not just jobs, but jobs in sectors that not only had completely stopped hiring were moving operations to foreign countries. Americans know Obama promised exactly opposite, telling Americans that manufacturing would never come back to the U.S. But, wait: not EVERYONE in Washington changed — or wanted “Trump Change.” Enter members of the Deep State — inhabitants of the Swamp. They didn’t want “Trump Change.” They still don’t. With new House control by Democrats, one would think Democrat Party leadership would be excited about looking ahead at new ways to build on existing successes and find new ways to initiate new ones. But that’s not happening. Want to know what Democrat Party upcoming House leadership and committee leaders are planning? Schiff’s premise has NO basis in fact, rather relies totally on information contained in Robert Mueller’s memo released Friday, December 9th. Specifically, Schiff’s comments were based on allegations contained in that memo stating Cohen lied to Mueller and his investigators. According to the memo, Cohen admitted that he had lied to Congress about when he stopped pursuing a deal to build a Trump Tower in Moscow — which was June 2016 instead of January 2016, and about other statements he had made. It said he also offered new information to the special counsel’s office. The memo said Cohen admitted he lied to Congress to “minimize links between the Moscow Project” and Trump, and to “give a false impression” that the Moscow Project had ended before the Iowa caucus and the first presidential primaries, in hopes of limiting the ongoing Russia investigations being conducted by Congress and the special counsel’s office. Cohen also said he had lied to Congress about a 2015 radio interview, in which he suggested that Trump meet with Russian President Vladimir Putin in New York City during his visit for the United Nations General Assembly. Cohen had told Congress that his comments were not discussed within the campaign, but later said that he had “conferred” with Trump about contacting the Russian government to gauge interest in such a meeting. Congressman Schiff disclosed that Democrats are in talks with counsel for former Trump attorney Michael Cohen to “bring him back” for further testimony, less than two weeks after Cohen pleaded guilty to lying to Congress in 2017. Schiff suggested Cohen will return voluntarily. If Schiff becomes the chairman of the House Intelligence Committee when Democrats retake the House in January, as expected, he would have the power to subpoena Cohen to testify and provide documents — but Cohen would retain the option of pleading his Fifth Amendment right to avoid self-incrimination. Rep. Jerrold Nadler (D-NY), the incoming chairman of the House Judiciary Committee, revealed Friday, December 7th that he will end the Republican-led probe into decisions made by the FBI and Department of Justice during the 2016 presidential election. “Yes, [I will end it] because it is a waste of time to start with,” Nadler told reporters after momentarily stepping outside the closed-door hearing of fired FBI Director James Comey. He branded the probe a political stunt designed to divert attention from special counsel Robert Mueller’s investigation into potential collusion between the Trump campaign and Russia during the election. “The entire purpose of this investigation is to be a diversion of the real investigation, which is Mueller. There is no evidence of bias at the FBI and this other nonsense they are talking about,” the Democrat claimed. Rep. Nancy Pelosi (D-CA), promised the following legislation to be taken up if she retakes the gavel as Speaker of the House: a package for campaign finance reform as Dems’ first bill of the 116th Congress; Democrats will pursue reducing drug prices, something the Trump Administration is doing successfully already. Then, they will make an effort to work with Republicans on a bill on background checks for gun purchases, as well as address protecting “Dreamers.” That refers to young undocumented immigrants who came to the U.S. as children. “I don’t see any of us voting for wall funding,” referring to President Donald Trump’s plan for a wall along the U.S. border with Mexico. In addition, Pelosi said she would like Democrats to make sure there is integrity in the U.S. voting system. There’s very little any non-elected American can do to right this ship. At best we can continue to communicate with our elected federal officials and encourage them to take care of the enforcement of existing laws, pass new laws to fix bad laws, to cut runaway spending, close our borders to illegals, and take care of American citizens before spending billions on illegals who invade our country. Regarding the likes of Schiff and Nadler and Pelosi and others who hail from the Democrat Party far left, they still hold the belief that their political false narrative has captured the minds of most Americans. I laugh every time I hear Nadler or Schiff or Pelosi or Waters in interviews spouting their talking points. Remember this: Schiff is the one that on numerous occasions has stated he “factually” knows and has evidence that proves that President Trump colluded with Russia to help get him elected in 2016. Nadler knows that everything he said that I quoted above about the current House investigation into Department of Justice and FBI wrongdoing and even illegal actions during the 2016 election is not only legitimate, but it is also necessary to simply hold government officials accountable for partisanship that has led to unbelievable illegal activities that put Watergate to shame! Schiff, Pelosi, Nadler, and even Waters are oblivious to this one fact that cannot be forgotten or ignored: all Americans are not drinking from the trough of Political Elitism from which Democrat Party leadership live by. Americans understand things in D.C. are not right. And most Americans — even proven in polling results — want the process in D.C. fixed and those responsible for wrongdoing to be held accountable. In all of this, don’t be dismayed: the Sheriff that took charge in 2016 is far from working alone in his so-far successful quest to clean out the Swamp. Schiff and Company want to intimidate the Sheriff into believing he has no hope and that they’re “gonna’ get him!” He doesn’t care. He came to D.C. a very successful entrepreneur. He’ll leave D.C. the same. And Americans will still be in control of the United States of America!